If you sang any of those while you read them (and we know that you did), we’ve got an exciting opportunity just for you. 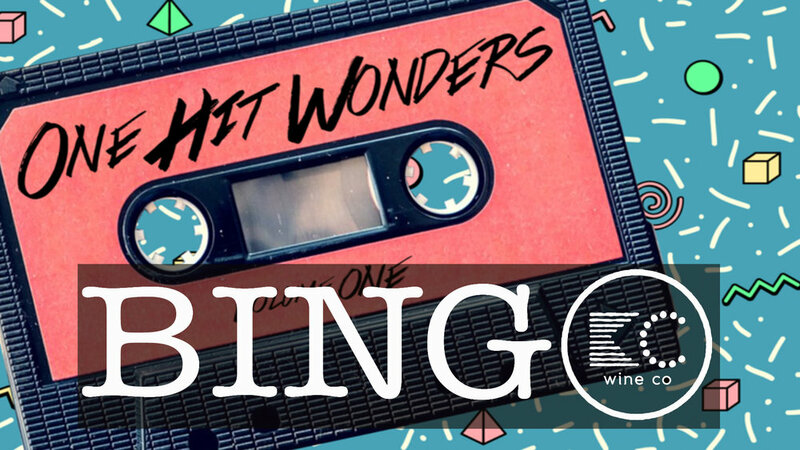 Join us right here at the vineyard for One Hit Wonders BINGO on Saturday, December 8th, from 2-5pm. We’ll have music bingo complete with swag, prizes, and MORE in addition to our usual fare of drink specials and snacks available for purchase. We’ll also have adult coloring on site so you can complete your own one hit artistic wonder during your visit. This activity is open to guests ages 21+ only. Please drink responsibly.